SAN DIEGO — It’s almost time for the Port of San Diego’s Eco-Friendly Hull Paint Expo, where boaters can obtain free information on the advantages of making the switch to copper-free hull paints and learn about the best products on the market. Boaters can talk to paint manufacturers and local application experts during the third annual Eco-Friendly Hull Paint Expo, from 10 a.m.-noon March 16 at Shelter Island Boatyard, 2330 Shelter Island Drive. Paint company representatives confirmed for the event include Interlux, ePaint, Sherwin-Williams, Propspeed, Pettit, Seahawk and Micanti. There will also be a soda-blasting demonstration by Advanced Restoration. And boaters will have an opportunity to see two to three boats on display that have had non-biocide hull paints applied, said Tanya Castaneda, public information officer for the Port of San Diego. The event is intended to provide boaters with information on boat paints capable of protecting a boat’s hull while also reducing environmental impact. As they walk through the expo, boaters can enjoy free coffee and free food from Bali Hai Restaurant. They might also win one of many raffle prizes from Shelter Island businesses — including the Best Western Island Palms, the Bay Club Hotel and Marina, Kona Kai Resort and Marina, Humphrey’s Half Moon Inn, Marine Exchange and Bali Hai Restaurant. Prizes include a $100 gift certificate to Best Western Island Palms, a pair of Kaenon Rhino sunglasses, a $100 gift certificate to Marine Exchange, among many others. The expo is aligned with the port’s commitment to reduce copper levels in Shelter Island Yacht Basin. In 2008, port officials launched a two-year antifouling paint study after the waterway was cited in 1996 by the San Diego Regional Water Quality Control Board for high levels of copper. The board’s regulatory order requires the port, marinas, yacht clubs, hull cleaners and boaters to reduce copper pollution in the basin by up to 76 percent by 2022. Since that order, the port has identified copper-free hull paints that protect the environment without reducing boat performance. The port has also engaged in educational and informational outreach to inform boat owners and commercial operators of the benefits of making the switch to copper-free boat paints. 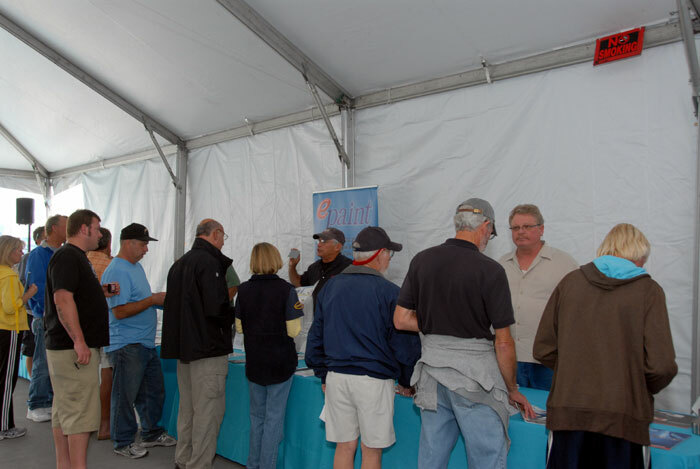 Port of San Diego staff members will be at the Expo to discuss how boaters can qualify for a grant program that assists Shelter Island Yacht Basin boaters in switching to eco-friendly hull paints.